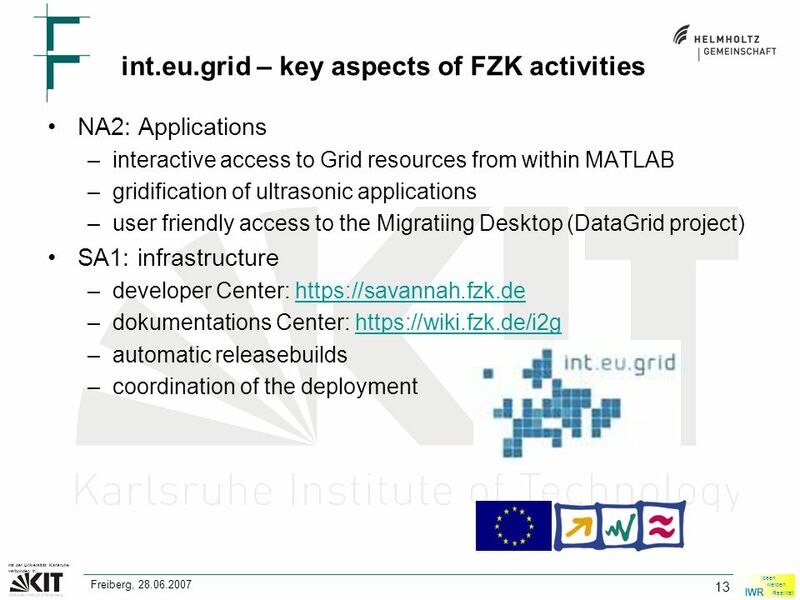 IWR Ideen werden Realität mit der Universität Karlsruhe verbunden in 1 Freiberg, 28.06.2007 High Performance Computing in a GRID Environment Institut for. 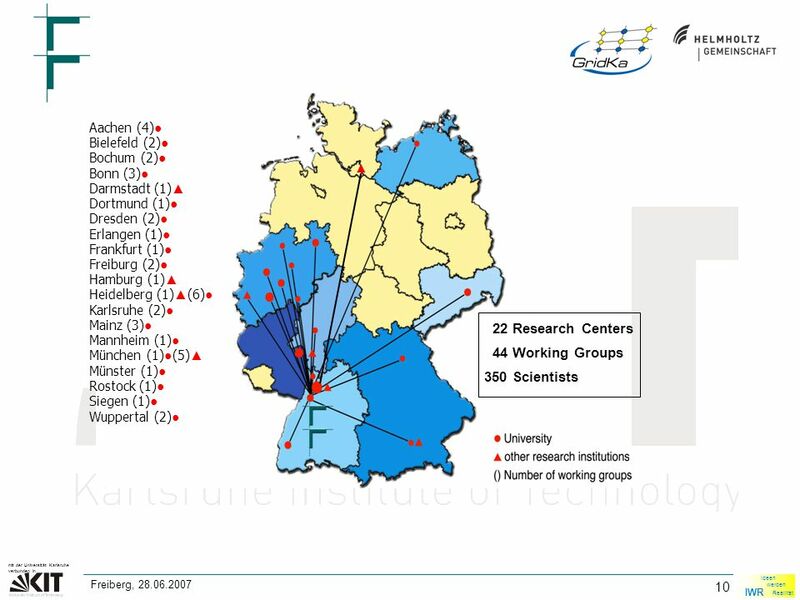 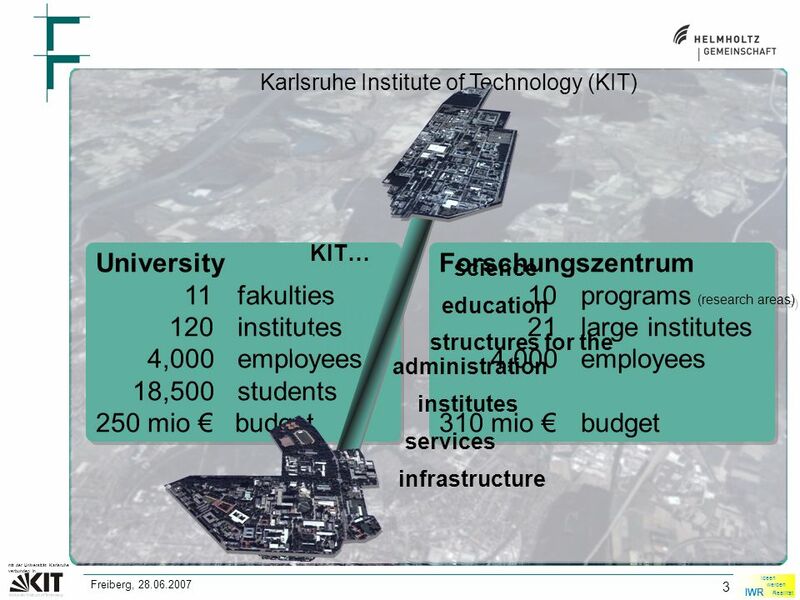 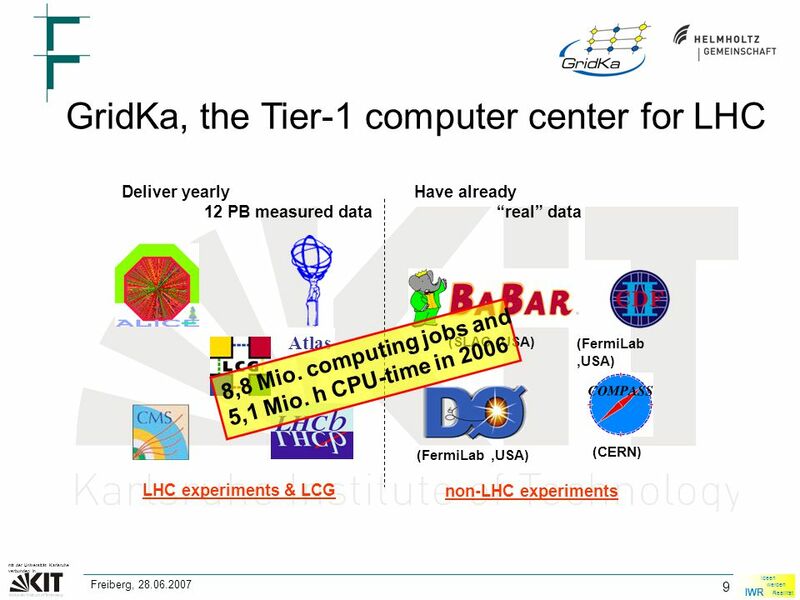 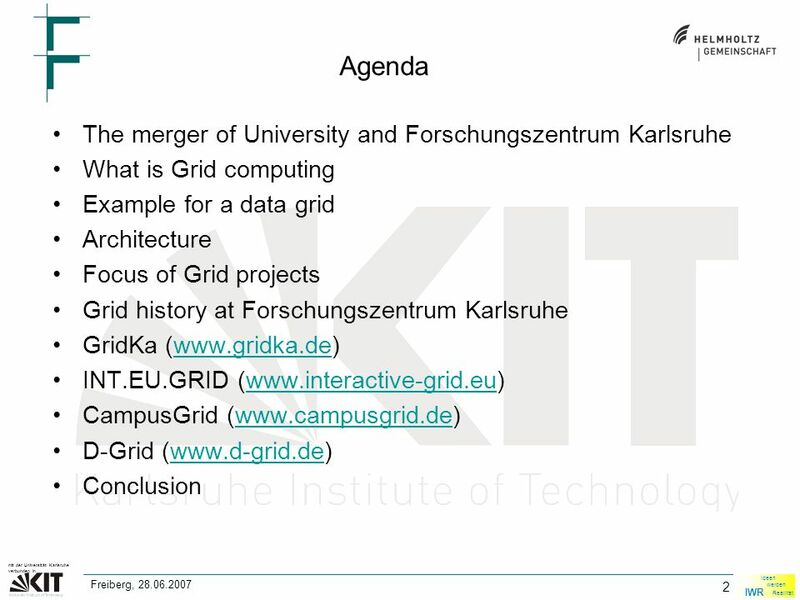 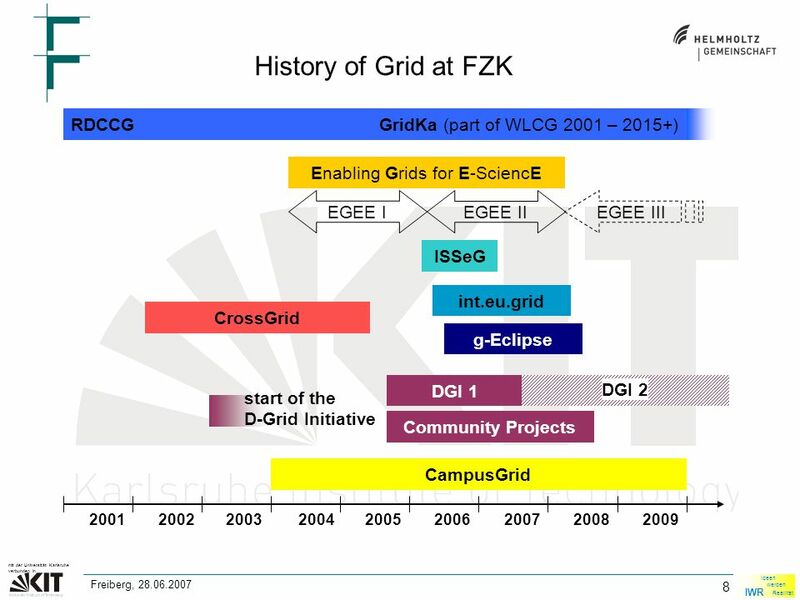 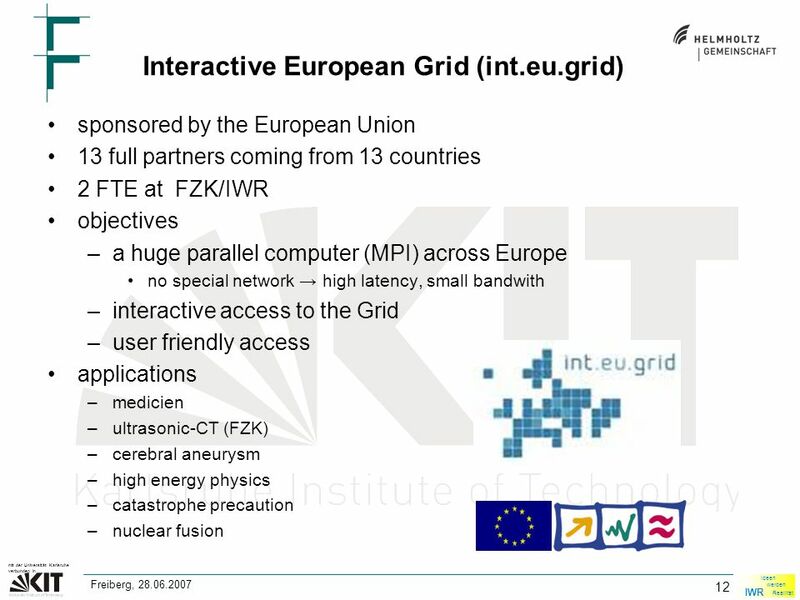 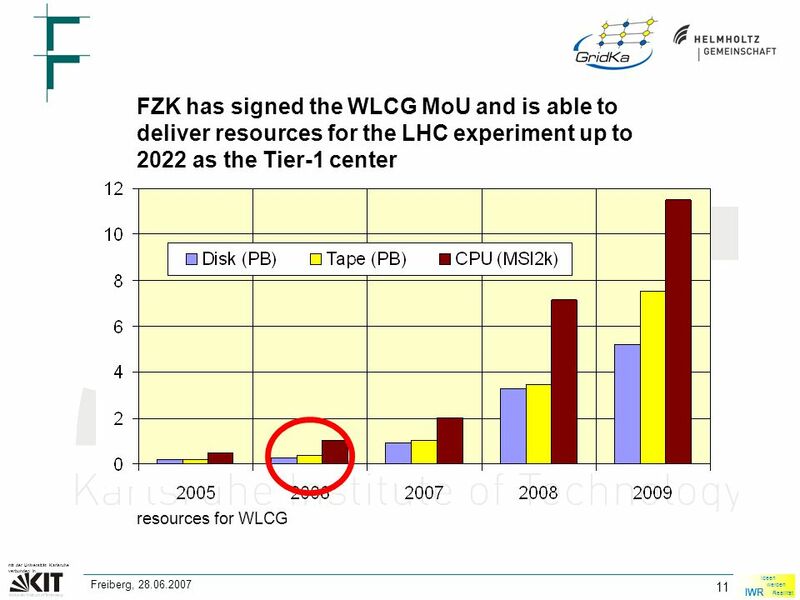 18 18 mit der Universität Karlsruhe verbunden in IWR Ideen werden Realität Freiberg, 28.06.2007 Conclusion Are there possibilities for HPC users in a Grid environment? 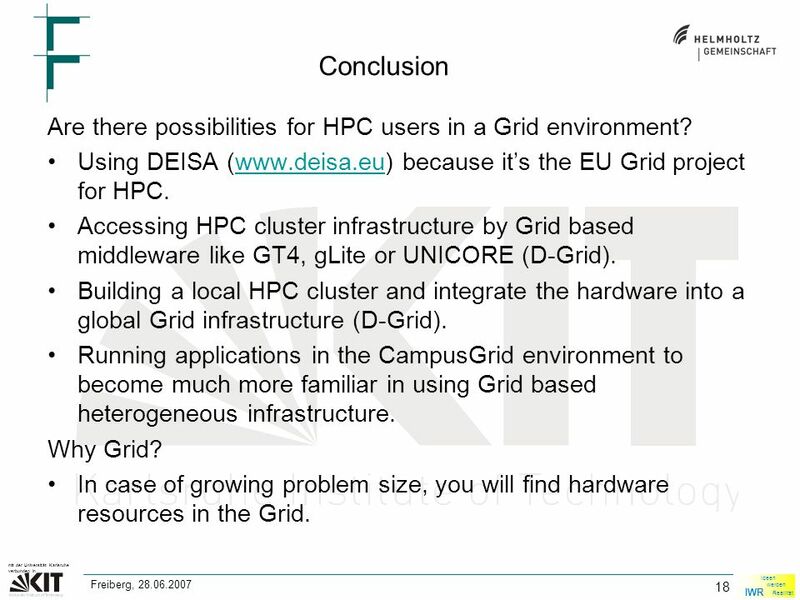 Using DEISA (www.deisa.eu) because it’s the EU Grid project for HPC.www.deisa.eu Accessing HPC cluster infrastructure by Grid based middleware like GT4, gLite or UNICORE (D-Grid). 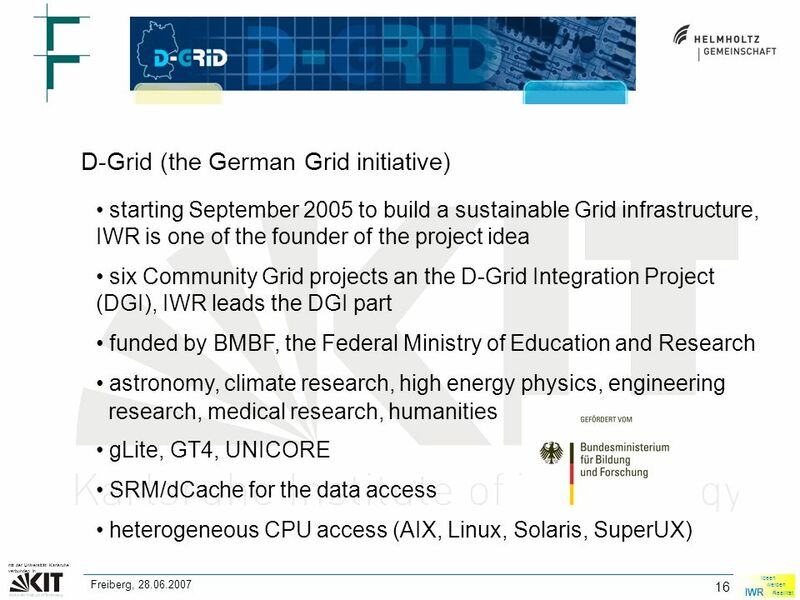 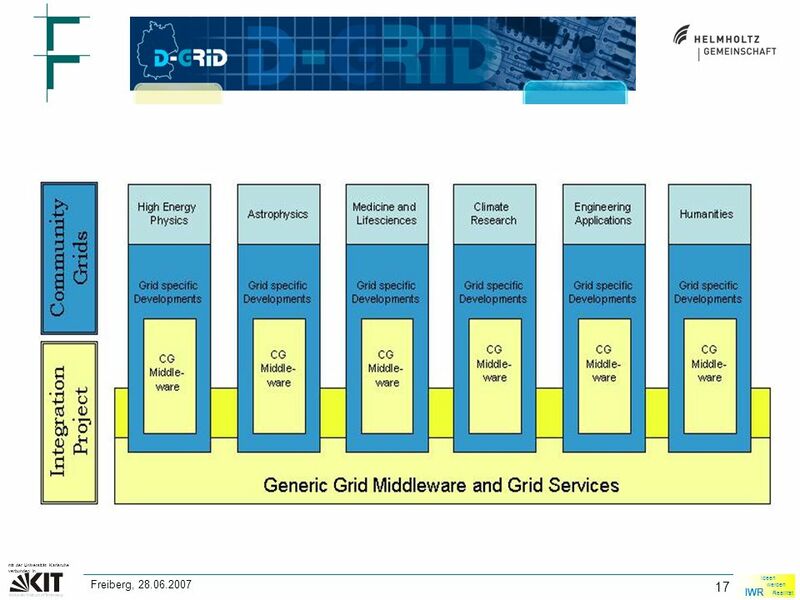 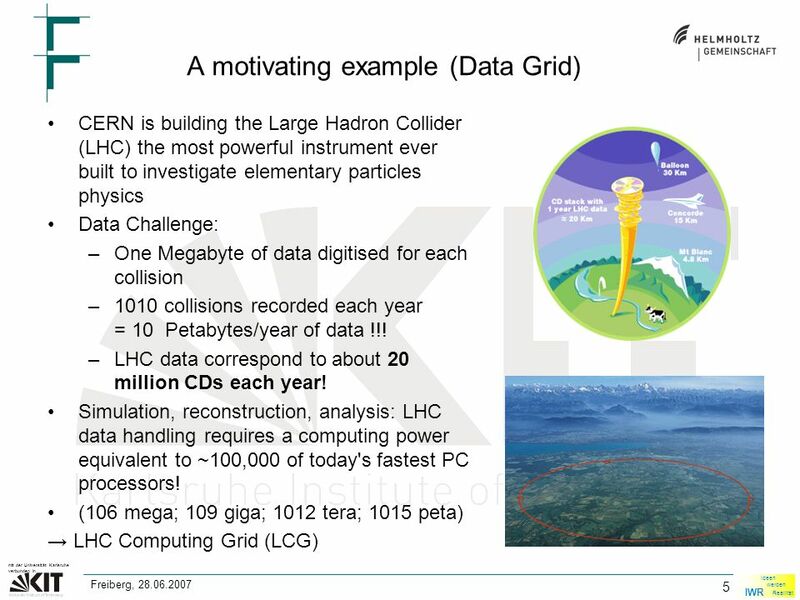 Building a local HPC cluster and integrate the hardware into a global Grid infrastructure (D-Grid). 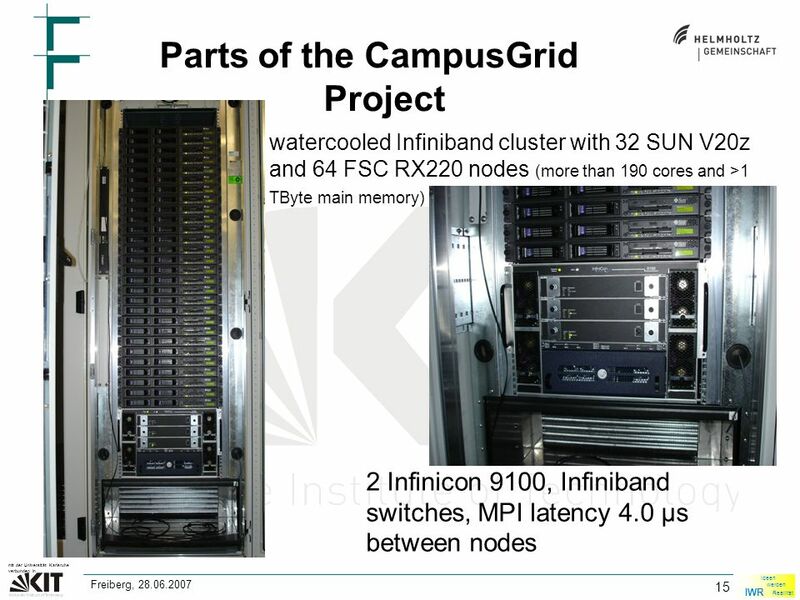 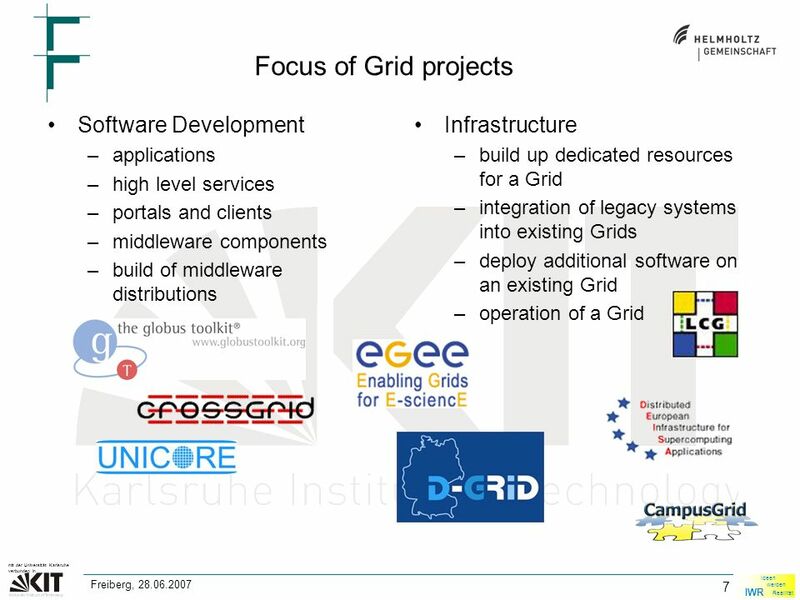 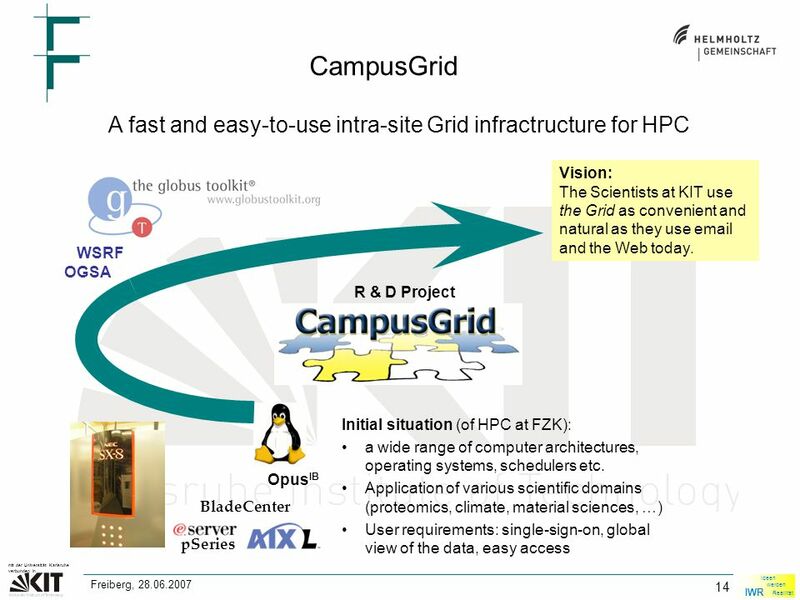 Running applications in the CampusGrid environment to become much more familiar in using Grid based heterogeneous infrastructure. 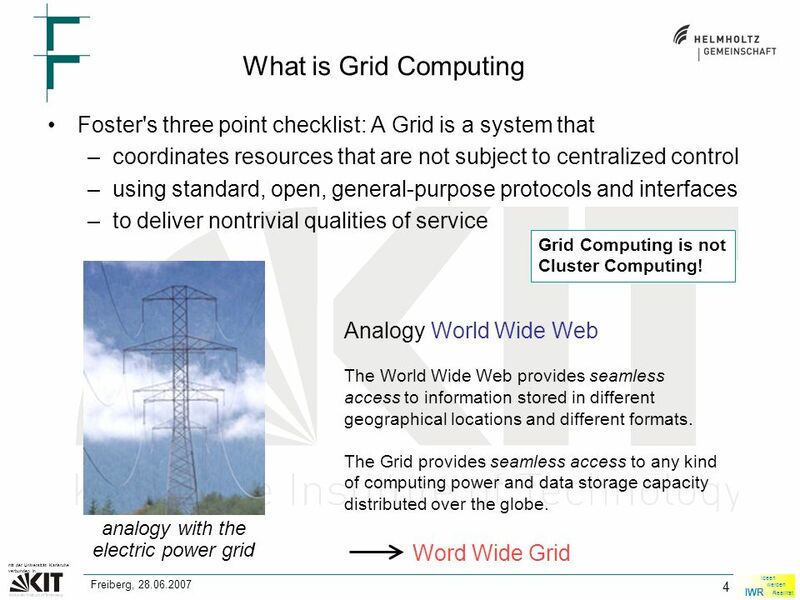 Why Grid? 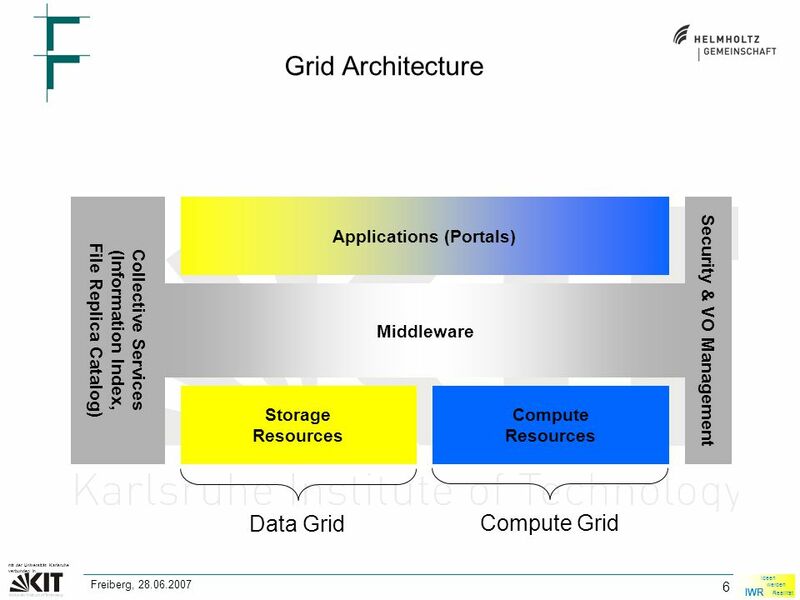 In case of growing problem size, you will find hardware resources in the Grid. 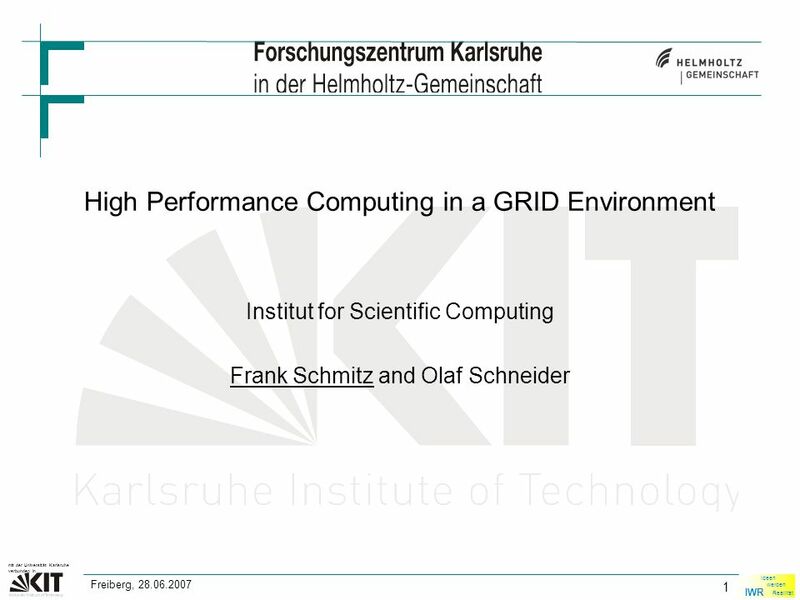 Herunterladen ppt "IWR Ideen werden Realität mit der Universität Karlsruhe verbunden in 1 Freiberg, 28.06.2007 High Performance Computing in a GRID Environment Institut for."